Can’t be bothered to tap in a passcode to unlock your sleeping smartphone? 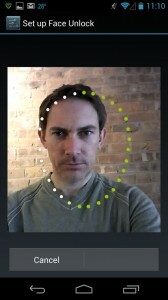 Well, the latest Android phones have another way to verify that you’re you: by scanning your face. The idea behind Face Unlock (a feature that requires Android version 4.0 or better, by the way) is simple: the phone’s camera scans your face for a few seconds, then compares it to one or more previously saved head shots. If it gets a match, then presto! You’ll arrive at your phone’s home page, no PIN required. You can unlock your phone with a glance once Face Unlock scans your face. It’s a nifty trick, but it’s not quite foolproof. Before setting up the feature on your own Android phone, you’ll be warned that Face Unlock isn’t nearly as secure as using a numeric passcode. Indeed, there’s always the possibility of a false match if someone who looks “similar” to you sneaks a peek at your handset. In other words, think twice before protecting your phone with Face Unlock if you’ve stored military secrets on it, or if your online banking password is saved in your Android browser. 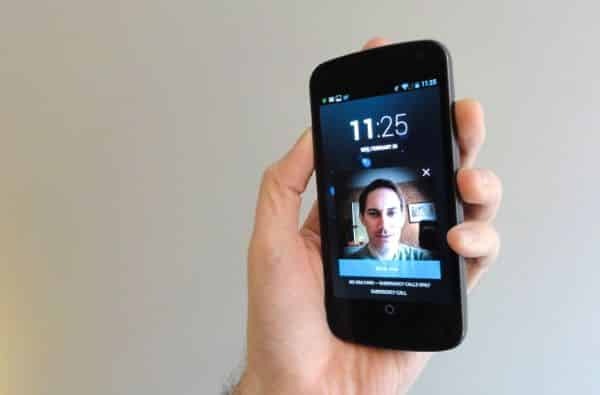 So, ready to use your face to unlock your Android phone? You’ll also need a backup PIN or a security “pattern” to trace on the phone’s touchscreen, which you’ll be asked to set up once you’re done snapping photos of your face. The backup passcode will come in handy if Face Unlock can’t quite recognize you (which, as I’ve learned, happens on a fairly regular basis). Now, time to test. Lock your phone, then press the “sleep/wake” button and hold the handset right in front of your face; the phone should unlock itself within seconds of “seeing” you. *Note: These steps may vary depending on the make and model of your Android phone. I tested this tip on a Samsung Galaxy Nexus running on Android version 4.2.2. Worried someone might try to unlock your phone with a still photo of you? You can set Face Unlock to unlock your phone only if it sees you blink. Just tap Settings, Security, then enable the “Liveness check” option.